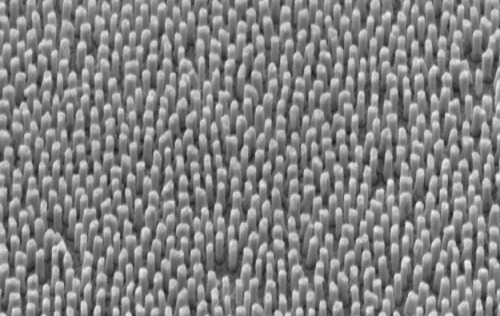 Scientists at King’s College London have developed a new way to rapidly change the polarisation of light, one of its fundamental properties. The research, published in Nature Photonics on 29th September 2017, could lead to much faster data transfer and advance research into nano-materials. A light wave undulates in different ways – known as its polarisation. The polarisation of light is changed by the material it passes through, so we can use it to learn about unseen nano-scale worlds such as drug chemistry and quantum electronics. Switching polarisation is also used to transfer digital information along fibre optic cables. The electronic methods currently used to control the light polarisation in such applications is reaching its physical speed limit. Researchers at King’s have overcome this problem, allowing polarisation to be switched at timescales of less than a millionth of a millionth of a second - hundreds of times faster than current electronic methods. This will allow us to ‘see’ very fast nano-scale processes such as chemical reactions for the first time, by illuminating them with rapidly changing light. This helps us to understand the difference in formation of nasty chemicals and life-saving drugs, and allows us to study new materials that will bring about the next technological revolutions. This will also represent a major advance in data transfer speeds. By rapidly changing the polarisation of light - to represent a one or a zero - data can be passed along fibre optic cables and into your living room more rapidly. This will help meet growing data sharing demands driven by streaming and cloud services. This research also has potential beyond how many box sets we can download. 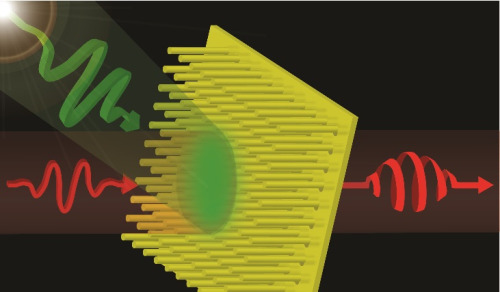 Control of light at such short time scales could also feed into quantum information processing, where controlling the polarisation of light is integral for building successful quantum computing devices.